Using a card to pay for purchases abroad is undoubtedly much more convenient than traveller's cheques and exchanging currency. There were over 300 million card transactions made abroad on UK cards in 2007, and so it's clear that consumers agree. 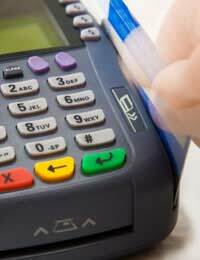 If you have a card which is issued by any one of the international card scheme brands, like, MasterCard or Visa, you will find that you should be able to use it at shops and cash machines worldwide, and most cards also have schemes to refund any money that you lose if you are a victim of theft or fraud while overseas,. So, how can you avoid being a victim and use your card safely? According to statistics, credit card fraud abroad is on the increase. Some countries are more risky than others - fraud committed with UK cards in the USA has soared by 118% since 2005 and it's the place you're most likely to be a victim on a UK issued card. Italy & Australia are the next most popular fraud hot spots. How Can I Avoid Card Fraud When I'm Abroad? The good news is that by following a few common sense precautions, you can dramatically reduce your chances of being a victim of credit card fraud. Don't take all your cards with you - only take the cards you're likely to be using, and leave the others behind. Tell your bank or card issuer where you're going and what dates you will be travelling. This avoids the embarrassment of having your card refused because your bank thinks you could be a fraudster yourself! Give the bank or card issuer your contact details so that they can call you if they spot an unusual transaction. Don't give your card to anyone else, or let it out of your sight while paying for anything. Criminals can skim your details and then use them again and again, so keep a close eye on who has your card at all times. Don't discard your credit card receipts, as they could contain enough information to be useful to a criminal. Keep hold of them, so that you can check them against your statement when you get home, too. In cars, keep your wallet or handbag hidden from view. Don't ever leave them in a parked car. Guard your card, PIN number and card details. Never give your number to anyone over the telephone or in person, no matter who they claim to be. When you withdraw cash from an ATM, keep an eye on who else is around. If you feel awkward or unsafe, stop the transaction and go elsewhere. As you're entering your PIN, keep it hidden from prying eyes. If you're paying for anything with a PIN pad in a shop or a restaurant, shield it as you type in your number. Don't do it in a public place or anywhere that you can be overlooked.